Columbus Day is perfectly-positioned vacation time. It comes a month after the kids are back in school and provides a much needed breather from the marathon between summer and Thanksgiving. Sandals, Beaches, and Grand Pineapple Resorts feel you. They offer the luxurious getaways to keep your blood pressure down until November. With all-inclusive luxuries, exquisite amenities, and incredible deals, these resorts will pamper you into a state of utter serenity and relaxation. 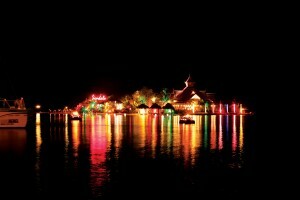 The party doesn’t end at Sandals Royal Caribbean. Need to get away from homework and soccer games? 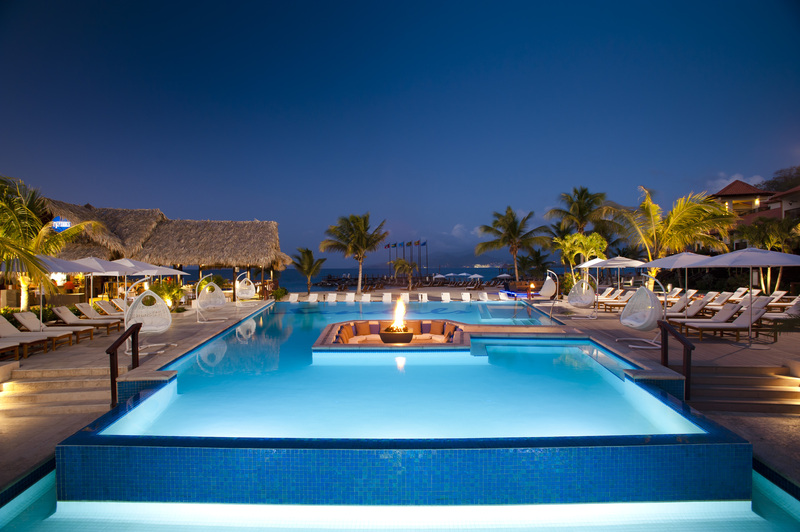 Then plan your getaway to Sandals, Luxury Included® resorts that welcome adults with romance in mind. These luxurious properties in Jamaica, Antigua, Saint Lucia, the Bahamas, Grenada, and Barbados (opening in 2015) want you to enjoy the company of your loved one. Embrace one another’s likes on the golf course and in the spa. 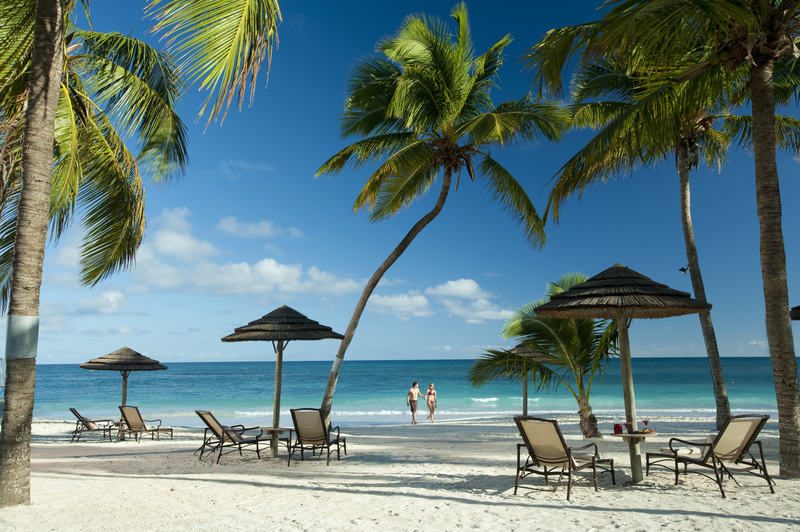 Share unlimited top-shelf drinks, fantastic meals, and some of the Caribbean’s best beaches. Find the Sandals that fits your vibe, from the ultra chic Sandals Whitehouse with its all-beachfront accommodations and the island’s biggest pool to the elegant Sandals La Source with its infinity pools on all levels. With exceptional services, professional butlers, and unlimited land and water sports, the only concerns you’ll have will be back at home, hoping the kids aren’t throwing that proverbial “parents-away” party. 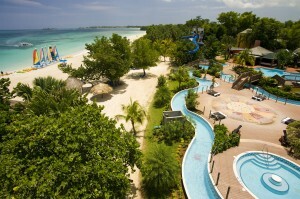 WHEEEEs abound at Beaches Resorts. 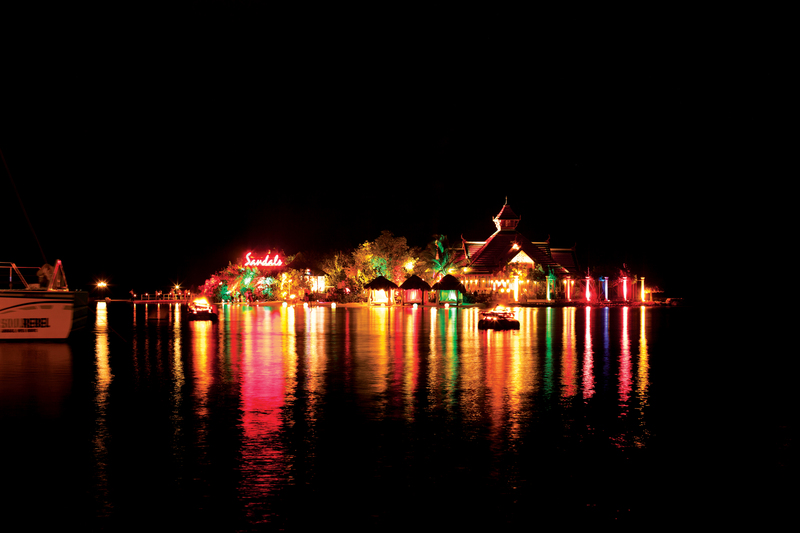 Of course, you can always bring the kids and experience a family fun getaway together at Beaches Resorts. Located in Ocho Rios, Negril, and Turks & Caicos, these resorts cater especially to couples who happen to have a bundle of joy or five. Spacious bungalows include up to three bathrooms, private patios, separate living areas, and a kitchenette. Up to 19 restaurants per resort, from chopstick-clicking Teppanyaki to gourmet French dishes, present a flavor for even the pickiest palate, and incredible activities for the family—from the tike to the grandparent—will keep everyone entertained. Kids Clubs are designed by age groups, giving tween and teens their own special activities, while families can dive into waterparks and S.C.U.B.A. diving courses together. Regular pineapples don’t exist here, only Grand ones. Currently in Jamaica and Antigua, Grand Pineapple Beach Resorts welcome couples and families alike with accommodations for up to four people. These quiet, laid back abodes include newly refurbished waterfront, beachfront, and garden view rooms, each with a private patio or a communal veranda. These resorts also are more intimate and provide land and water activities as well as sparkling pools in which to unwind. Take a trip to nearby Sandals Negril or Beaches Negril to snorkel or scuba dive, or just dance to the beat in the relaxing heat. With reggae rhythms oh-so-fine, you’ll enjoy them time after time. These all-inclusive resorts offer fun, affordable family vacations. So book your mid-autumn getaway now with savings up to 65%, myTime exclusives (at no extra cost), and air credit. 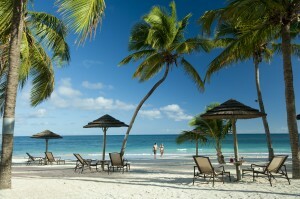 Check out GOGO Vacations now!